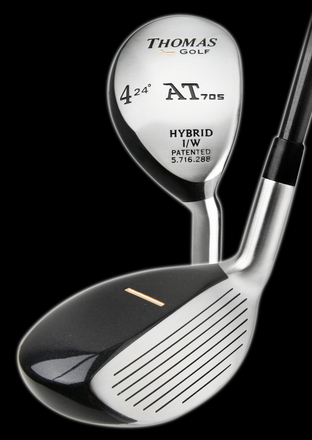 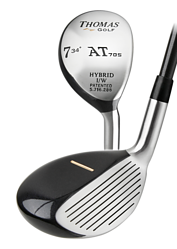 Hybrids are a combination of an iron and wood, incorporating various features of each into one product to replace hard-to-hit traditional irons. 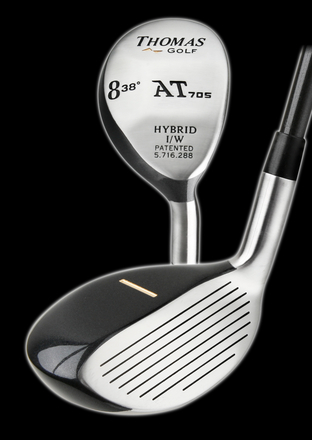 These new custom Hybrid Irons offer significant advantages over traditional irons and, as a result, have experienced impressive growth in recent months throughout the golf industry. Hybrid irons provide the playability of a fairway wood coupled with the accuracy of an iron, giving even average golfers more airtime on the difficult long approach shots. 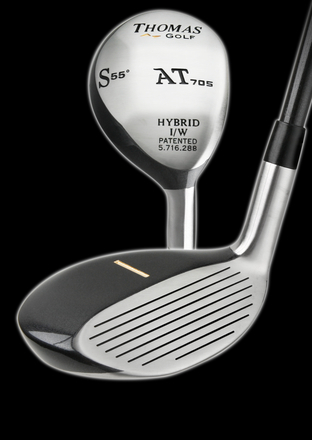 Hybrid Irons can be used on any lie where irons are used. 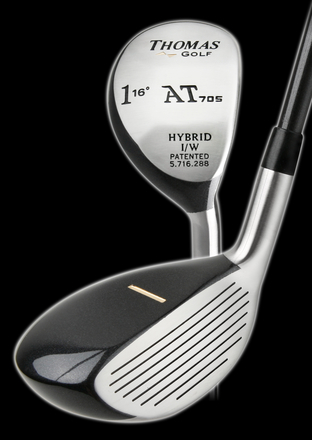 The larger hollow head distributes more weight to the perimeter and sole, with the sole being much wider than an Iron, making the clubs much more forgiving and solid feeling. 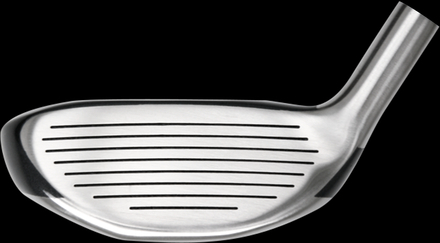 The larger top view with unique alignment indicator gives exceptionally more confidence than a traditional Iron. 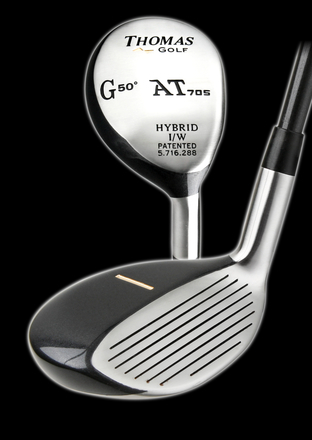 The mass and dimensional characteristics also make these clubs much easier to get airborne, with better trajectory, more consistency, and at least the same, if not more, distance as a well struck iron. 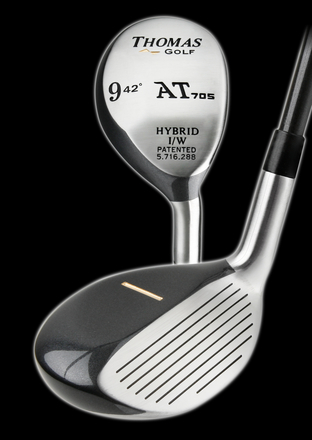 Who should use Hybrid Clubs? 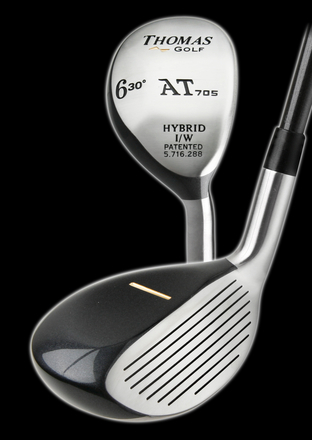 The new Hybrid Irons are also gaining great popularity as a solution for eliminating the difficult to hit long irons. Integrating Hybrid Irons into your set allows players to work the ball yet still benefit from forgiving Hybrid technology. 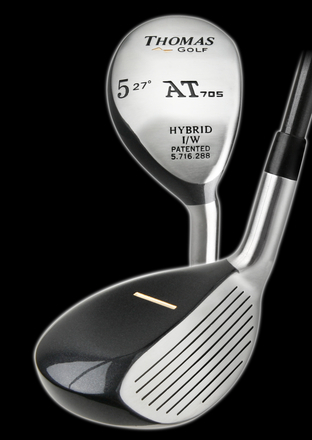 - If you feel more confident hitting higher lofted fairway woods than irons. - If you seldom use your # 3, # 4, or even # 5 iron. 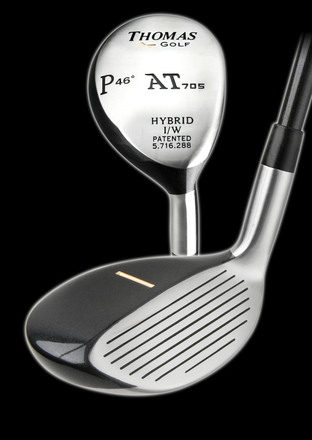 - If you can get more distance from a 9-wood than a 5-iron. 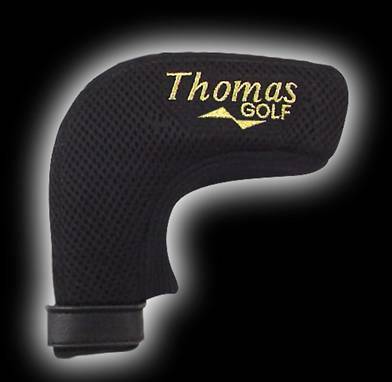 - If you seldom take a divot when hitting your middle irons. 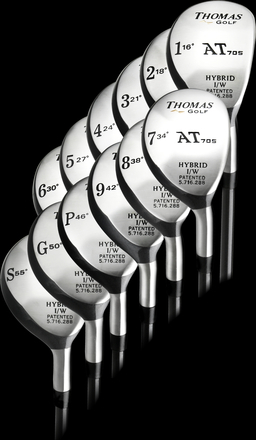 - If you have ever considered carrying woods like a # 11 or # 13.